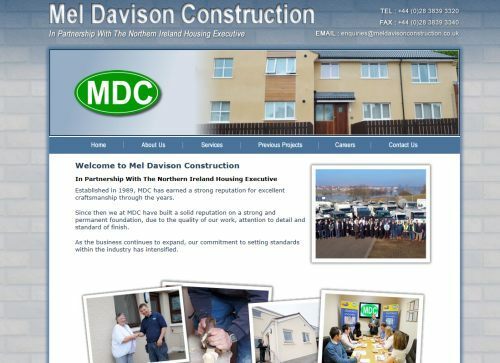 MDC are a Mid Ulster based construction company specialising in housing association and housing executive builds, refurbs and maintenance. We were commissioned to build a new website for the business to highlight the types of work that they are involved in and the general services they offer. Striking photography makes the site come alive and gives the company a personal feel.